While Facebook Pages allow people “Like” and “Engage” with the Brand they also provide an opportunity to listen to what customers have to say. Answering to a praise or criticism of a customer on Facebook page help the growth of trust and genuineness between the users and the brand/product. They know where to go when they have something to say good or bad about anything and expect a proper response. This makes a Facebook Page more people friendly and easy to use. Also, Facebook can be used for recommendation and lead generation. Asking your customers to put up a word about your services/product can make it visible in their friend circles. This would help you fetch eye-balls on your profile. This feature makes the Page more interesting, since Like or any activity by one person can fetch new Likes from his/her friends. Well, it is possible to practically run a website on Facebook Fan page (I would not advice that), the page is a powerful tool for branding. Right from the layout and features, it makes it easier for any small/local business to start using it as their branding medium. You can put up your custom cover page images to profile images. You can use it for running competitions and contest. You can use it interact with customers, ask them questions and their views. With the number of new users on Facebook growing daily, the Local Brand is what people might look forward connecting to. Apps integration and business check-ins are the two things that make the Facebook Page more powerful. When I mentioned that a Facebook Page can practically run a website, it is because Facebook allows and encourages developers to create their own app according to their own need and add it on Facebook. This has made cross-promoting much simpler. You can add a Facebook app for Twitter and send your Facebook posts directly to twitter. This can allow a small business to make things more user friendly and interactive. Also with a check-in feature like Foursquare, it can gain more visibility and customer engagement. It is again a snowball effect, if a person checks-in somewhere, that goes to his/her friend’s news feed. One of the most important tools for marketing, Facebook gives the business most cost effective and result oriented adverts. 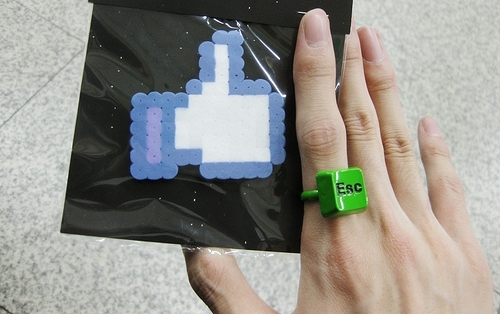 Unlike Google ads, Facebook ads are more engagement oriented. Facebook gives full freedom to create and promote ads as the business wants. With highly targeted marketing, Facebook Ad campaigns can be the biggest success tool for small and local businesses. The snowball effect of Facebook, gives ads more results and visibility, thus expanding the reach of the ads and business. Also, with the latest features of Sponsored Stories and Posts, businesses can promote any post targeting their market crowd. The Facebook Adverts feature is also effective for mobile users, as now-a-days majority of the users access their profiles through their phones. What do you think is the best social media platform for Small and Local Businesses? Let us know your views in the comments below.